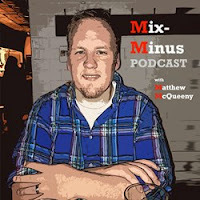 Mix-Minus Podcast | Matthew McQueeny: Google Yourself, and Don’t Like What You See? Google Yourself, and Don’t Like What You See? Let’s face it: we all Google our names every once in a while. And it’s sometimes like Forrest Gump’s box of chocolates where at times you don’t know what (results) you’re going to get. We had a potential client a while back who wanted to procure our services in Search Engine Optimization to help “push down” some Google results which he felt were unflattering. With a big event coming up this person did not want attendees Googling their name and finding and being turned off by the results, bad or not, perceived or otherwise. It can be difficult to wag the dog - er, blog - with search engines because their algorithms tend to yield highly refined results based on the authority, traffic, and update regularity of the sites the results appear on. But, there are certainly some things that you can do to - like one would say for a diet or exercise regimen - get “better results” for your own Google search. The New York Times wrote about managing your reputation online to coincide with the inception of Google’s new profile program, aptly named Google Profile. Go to Google, and type “me” to see how it works. In short, you feed Google your information so it can build connections between your profile and give a 360 degree picture of you, looking to leave nothing to chance about who you are. As the profile of this Google program builds up, expect it to show high results for your name. 1) Register your own web site and domain (ie, for me that would be matthewmcqueeny.com) or set up a blog on a free service like blogger.com. 2) Set up profiles in Web sites with high PageRank, or authority (like Facebook, Twitter, Linkedin, Flickr, etc.). This will help stack the deck and move those profiles high up into Google results for your name. It works: for me, a search of my name first yields facebook, linkedin, and a blog i write about the New Jersey Nets. 3) Set up a Google News alert with your name to actively monitor any chatter that might be taking place around your name.